These are all famous quotes, and we're pretty sure these are the guys who said them. 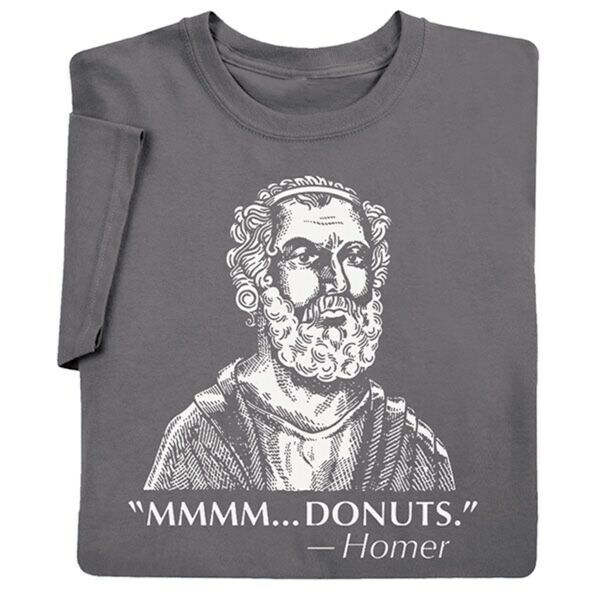 Homer the ancient Greek poet loved donuts, right? And didn't Isaac Newton have a thing for apples? Wasn't Galileo a big Queen fan? 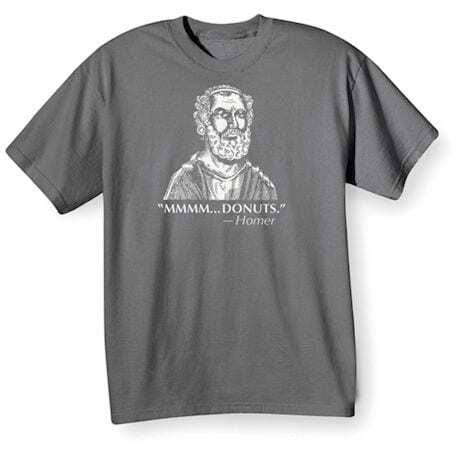 T-shirts are 100% cotton, sweatshirts are 75/25 cotton/poly. Sizes S-3XL. Imported.